The most significant floral decoration trend for 2012 is likely to be a continuing increase in the number of people that regularly feature fresh flowers in their home and decor. Savvy home decorators know the value of including natural elements in interior design. Elements of nature not only have visual appeal, but emotional appeal as well. They evoke the dynamism and beauty of the great outdoors. In 2012, the hottest floral decorative trends will be those that take advantage of the natural look that flowers convey and that use the color of flowers to best effect. Flowers can be presented to reflect a variety of aspects of nature, from the calm and serene feeling of an Asian-inspired lily pond, to the dynamic energy of a forest wilderness. A growing decorative trend is to use flowers to enhance the mood and atmosphere of interiors. Understanding the type of environment that best suits an individual life style helps people decide which floral selections are right for them. One of the most novel trends in floral decoration are designs that feature leaves, branches and another natural elements as well as flowers. Arrangements may have an unstructured feeling, as if they were gathered randomly from an overgrown garden. Designs not only include arrangements for tables but for wreaths, garlands and floor arrangements as well. Arrangements with a look of the wild about them complement a variety of decorative styles, from eclectic and casual, to country and rustic. Floral decorations that feature the beauty of the whole flower are popular, too. Glass vases showcase the stem of the flower as well as the bloom. Flowers with a thick stalk, such at calla lilies and many types of blooms grown from bulbs, such as tulips and hyacinth, look particularly charming when arranged in clear vases. The arrangement takes on an architectural quality that complements both modern and traditional decorative styles. 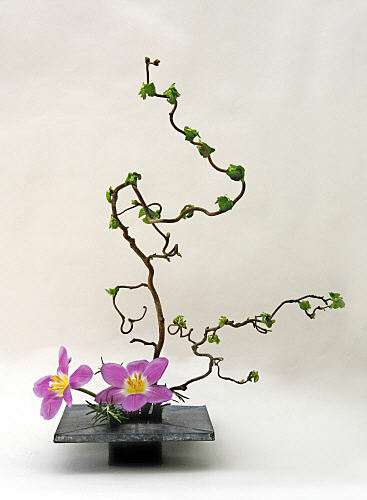 Another architectural floral style that is currently trending is the Japanese art of Ikebana. The five-century-old art of Ikebana focuses on the shape and color of each floral element, presenting them in a minimal design that is intended to convey a meditative sense of calm. Achieving harmony is the intent of Ikebana, and floral decorations styled in the Ikebana tradition work best in rooms balanced in form, line and color. The ongoing trend of massing together a single type of flower in a single shade is expanding to include blocks of color within one arrangement. 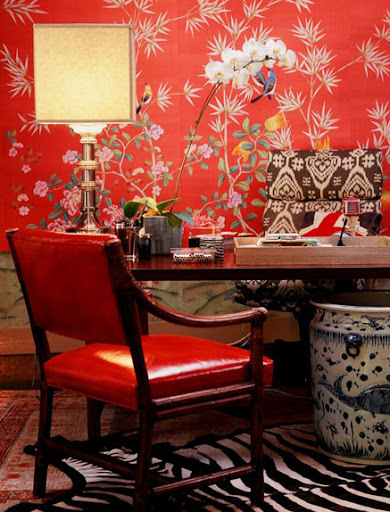 The arrangements are typically used to highlight and unify the color scheme of a room. In arrangements where the focus is on color, the specific details of each flower become less important than the overall effect. Color a strong design element, one that easily arrests the eye, and colorful floral decorations are an easy and affordable way to add dynamic visual interest to a homeís dÈcor. Massing vases of flowers is another ongoing trend in floral decoration. Presenting a single type of flower in a collection of bud vases or in several larger vases creates ìtablescapesî that get their charm from the way they are grouped as much as from the flowers themselves. Staging groups of floral decoration promises to be a big trend in 2012. People are creating new trends in they way that they purchase flowers as well. Many routinely send flowers to themselves, to ensure that the floral decorations in their home are fashionably fresh. People are becoming increasingly sophisticated in their approach to floral decorations, and regularly sending flowers by post is acknowledged as a convenient way to keep homes and the decor looking fresh and up-to-date. Patricia Hall works part-time for a florist and flower delivery but loves to surround herself with flowers at any given point of time. Even in her free time she loves to involve herself with everything flora and fauna. How refreshing ... flowers are now on my shopping list today!!! So gorgeous, I adore that 1st image Delores! Love the natural arrangement look. Those flowers are actually silk flowers, not real, and I found them to be quite realistic looking. Sorry Amy! Just gave you credit. This was a guest post that I finally published since I'm out of town taking care of my sick mom. It is such a beautiful photo!